Han Hyo-joo is a South Korean actress. Let’s take a look at her childhood, family, personal life, career, achievements and some interesting facts. Han Hyo-joo is a South Korean actress, who achieved humongous fame after appearing in the South Korean drama ‘Like Land and Sky’. Born and brought up in North Chungcheong, South Korea, she was a keen sports enthusiast in school. She later moved to Seoul for higher studies, and that was where she got attracted to the show business. However, her parents weren’t very supporting of her decision to move all alone to a big city like Seoul, and strictly asked her to take a safer career route. She managed to break into the film industry and made way for herself to become one of the most popular TV and film actresses in South Korea. She started small with roles in sitcom ‘Nonstop 5’ and the gangster comedy film ‘My Boss, My Teacher’. After initial struggles in getting good roles, she started gaining prominence with her role in the series ‘Like Land and Sky’. She then went on to appear in some critically and commercially acclaimed films like ‘Always’ and ‘Masquerade’. For her role in the series ‘Brilliant Legacy’, she has won many awards including the SBS Drama Awards and the ‘Outstanding Korean Actress’ award at the Seoul International Drama Awards. 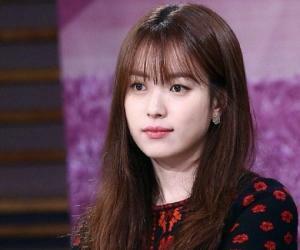 Han Hyo-joo was born in North Chungcheong, South Korea on 22nd February 1987 into a very conservative middle class family. Her father was an air force officer, and hence, was always very strict about the discipline factor in his family. Her mother was initially a teacher but later worked as an inspector for schools. Growing up in a highly conservative family, Han was given much less freedom than boys, and hence, became sort of an introvert child. She showed an inclination toward art in the very early phases of her life, and during school, she participated in sports, especially track & field, quite often. Although she was good in studies, the local schools weren’t doing much justice to her skills, so she proposed to her parents that she wanted to move to Seoul for high school studies. Her father was reluctant to allow her, but Han being a strong spirited teenager, went to study in Seoul at the Bulgok high school nevertheless. The vibe at her school was quite artistic and that was when she started gaining an interest in the film business and started participating in theatre productions and once done with high school, she got herself enrolled in the Dongguk University to study theatre and film. Despite her apparent talent, she found it very hard to break into the industry, and coming from a family with absolutely no connection to entertainment industry, she was disheartened. But she waited for the right opportunity and the fact that she had managed to win a beauty pageant organized by Binggrae in the year 2003 proved to be the stepping stone in her career. After a couple of more years of auditioning for different roles in films and TV, she got her very first break in 2005. Han first appeared in a minor role in the sitcom ‘Nonstop 5’ in 2005 and continued with a stint in 2006’s ‘Spring Waltz’. The gangster comedy film ‘My Boss, My Teacher’ exhibited her full acting potential to the filmmakers and slowly she cemented her foothold. She became a favourite among the indie circuit as well and then got signed on in 2006 by the small time independent filmmaker Lee Yoon-ki, who cast her in his film ‘Ad-lib Night’. The film became a festival favourite and brought several honours to the director and Han. She won the Best New Actor honour at the Korean Association of Film Critics Awards that year and this success helped her star in two big TV series’ next year. This exposure made her a somewhat popular face among the South Korean audiences. Both ‘Ilijimae’ and ‘Like Land and Sky’ became successful and drew some really good ratings from Korean viewers, resulting in additional popularity for Han. She then appeared in another indie film ‘Ride Away’ and earned respect from the serious cinema goers for her performance. In 2010 came the TV series which established her as one of the best mainstream actresses of that time. ‘Brilliant Legacy’ became a big hit and Han played the lead role in the series, which resulted in increased endorsement deals for Han and some more media attention which also made her popular in the neighbouring countries, in which the South Korean dramas already had a very strong hold. She also ended up receiving several big drama awards at the South Korean award functions that year. In 2011, she appeared as a blind telemarketer in the emotional drama film ‘Always’. She exhibited her acting skills with panache in the film, which eventually went on to open the Busan International Film Festival that year. Her next film was a period action drama ‘Masquerade’ in which she played the role of a queen. The film went on to become the highest grossing South Korean film of that time, and marked the arrival of Han in a big way. Her acting skills became further more apparent with the action thriller film ‘Cold Eyes’. The film was received well by the critics and slowly became one of the top grossing films that year, once again proving Han’s unabashed dominance at the local box office. She also won Best Actress awards at the Blue Dragon Film Awards and the Buil Film Awards for her performance. By now, her international fan following had also grown in and in 2014, she appeared in Japanese film ‘Miracle’, which told the story about a bookstore employee and three women that he fell in love with and the film became a critical and commercial success. In 2015, she played a key role in ‘The Beauty Inside’, a period film set in the World War 2 and by the beginning of the next year she was all set to make her comeback on television. In 2016, she first appeared in ‘W’, a suspense thriller series based in a fantasy land. Han made her TV comeback after more than 5 years and she proved once again why she was one of the best Korean actresses. Her performance in the series was highly lauded and she ended up winning the Top Excellence awards at APAN Star Awards and MBC Drama Awards. Her forthcoming projects include a Korean thriller ‘Golden Slumber’ and a Japanese science fiction thriller ‘In-Rang’. Han has been an extremely busy celebrity and apart from her acting jobs, she has continuously appeared in commercials, variety shows, music videos and as a singer as well. She also happens to be a goodwill and PR ambassador for several organizations. Han Hyo-joo loves listening to music and watching movies in her free time and she also plays the Piano and writes poems and short stories as a hobby. She happens to keep her private life under the wraps. She was earlier linked with actor Lee Jong-suk.